Customer satisfaction is our utmost priority due to which we efficiently store the entire batch in the well-structured warehouse till the delivery of the orders to the customers. We have successfully emerged as a distinguished supplier of Sandblast Hose that is highly demanded amidst the customers. Working Pressurer 10bar and Bursting Pressure 40bar. 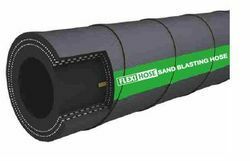 Sandblast Hose offered comes in tube option comprising NR & SBR synthetic rubber options. Features: Made available in black color and others Reinforcement options of high tensile synthetic yarn of single/double finish. 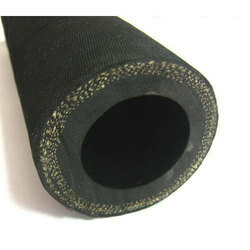 Looking for Sand Blasting Rubber Hose ?